About half of Stephen King’s stories I really love. The other half, well, I can do without those. While perusing the library shelves the other day, I happened upon a slim novella by King, Blockade Billy, and I checked it out. 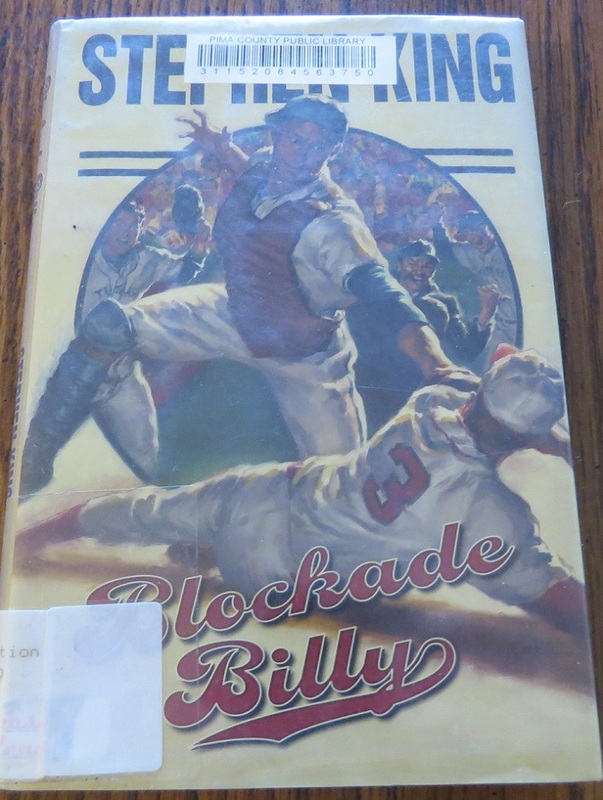 The story is about a baseball team, the New Jersey Titans, who loses their catcher, so they call up William Blakely, soon to become known by the moniker Blockade Billy. Billy is a bit slow; he often repeats things others say, and he talks to himself. Despite his mental deficiencies, he’s an amazing baseball player, and he soon becomes a fan favorite. However, Billy has been hiding a dark secret, and after a few weeks playing for the Titans, the cops come calling. What Billy has done, and what he does when the cops come, is so terrible that he’s virtually erased from baseball history. This book is written for a true baseball fan, which I’m not. A lot of the baseball references went over my head, and I could have done without all of the profanity, but then again, this is a story about sports, and it’s not like sports players, coaches, managers and refs are known for their pristine language. However, I did enjoy the surprise ending as I truly did not see it coming. While this is not my favorite Stephen King book, I don’t consider it one of his worst either. It’s right in the middle. I give this book 3 out of 5 stars on the Mom’s Plans’ scale. Have you read Blockade Billy? If so, what did you think of it?